Description The Byrna HD is a powerful, air-fired non lethal personal security device. Features The Byrna was engineered to be a similar size and weight as a standard service pistol, making it easily adoptable for gun owners and practical for self defense. Additional Information: We engineered a non-lethal device that can effectively deter, disorient and delay attackers. The compact design of the Byrna allows it to be hidden comfortably inside a purse or inside a concealed carry holster. Further Information Upon impact, the pepper particles from these rounds disperse, causing respiratory distress and temporary vision impairment to anyone exposed to the particles. Please Note Although the Byrna is a .68 calibre we do not recommend use of normal paintballs due to the fact that the balls may break, we recommend the use of .68 calibre solid or .68 calibre pepper balls. 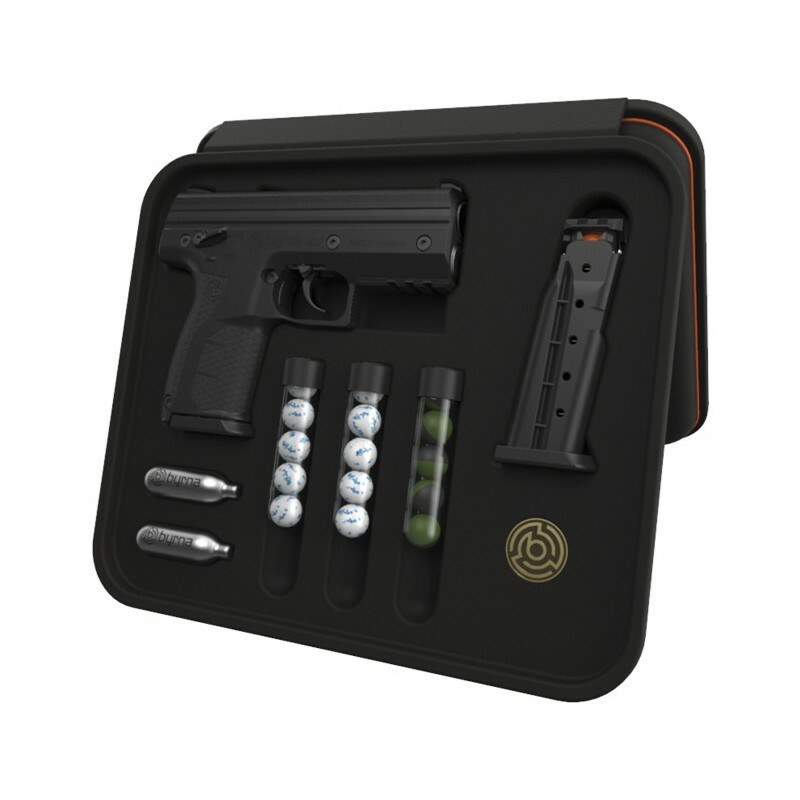 Package Includes A Spare 5-Mag Clip, 2 x Co2 Cartridges, 1 x 5 Round Tube of Self-Defense Rounds, 1 x 5 Round Tube of Training Inert Rounds, 1 x 5 Round Tube of Training Solid Rounds.